(Nanowerk News) Rice University researchers have invented a device that uses fast-moving fluids to insert flexible, conductive carbon nanotube fibers into the brain, where they can help record the actions of neurons. 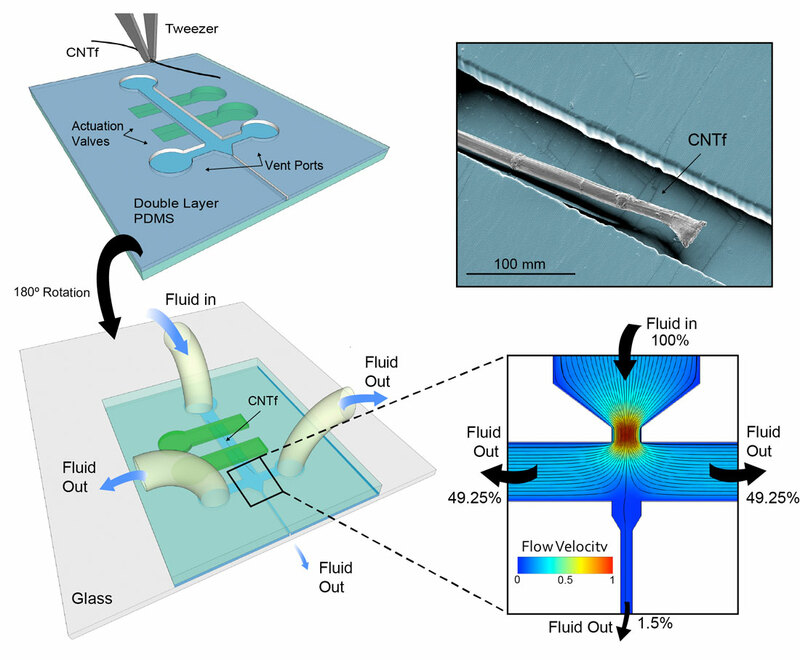 The technology is the subject of a paper in the American Chemical Society journal Nano Letters ("Fluidic Microactuation of Flexible Electrodes for Neural Recording"). Flexible Carbon Nanotube Fiber (black) inserted into brain phantom (agarose gel, pink).